I am an Associate Professor of Linguistics at the University of New Mexico. My research is centered in Amazonia, one of the most diverse areas of the world. I am working on several projects to study three typologically distinct languages: Kukama-Kukamiria (Tupían), Secoya (Tukanoan), and Amazonian Spanish. I pursue research in morphosyntax, language contact, and documentary fieldwork. My studies are centered in Amazonia, one of the most linguistically and culturally diverse areas of the world. My research on morphosyntax deals primarily with information structure functions and their morphosyntactic correlates in three typologically distinct languages: Kukama-Kukamiria (Tupían), Secoya (Tukanoan), and Amazonian Spanish. Information structure (IS), the packaging of information to guide the interlocutors about how (segments of) sentences relate to the overall discourse, is one of the central issues in linguistic theory and description. However, much of what we know about IS has been based on familiar Indo-European languages; usually restricted to simple, declarative clauses; and dealing mostly with elicited sentences. An adequate theorization of human language requires a broad sampling of structurally diverse languages. Amazonian languages have been identified as a priority in this respect, since they are both poorly documented and highly endangered. By providing more typologically varied data and analyses, my goal in this line of research is to contribute to advance our understanding of the role of discourse context and social dynamics on how speakers phrase their utterances, and on the varied ways that grammar can emerge from use. My research is situated within the context of three broader questions: (i) How do languages vary with respect to the formal devices they use to encode IS functions? (ii) How much of sentence-level grammar is sensitive to discourse context and social variables? (iii) What are the mechanisms by which pragmatic and cognitive forces prompt the emergence of morphosyntactic variants? I have addressed these questions in several studies, including focus constructions and subordination strategies in Kukama-Kukamiria, complex predicates in Secoya, and possessive constructions in Amazonian Spanish, among others. Peruvian Amazonian Spanish (PAS) coexists with dozens of indigenous languages, Kukama-Kukamiria and Secoya being two of them. This variety displays a set of unique features that sets it apart from other varieties of Spanish, and which are often associated with the extremely complex substrate in the region. Kukama-Kukamiria itself arose from contact between indigenous groups prior to the arrival of Europeans. Secoya is still the dominant language in the Aido Pãi villages, yet bilingualism among kids and young adults is growing quickly. Thus, Amazonian Spanish, Kukama-Kukamiria, and Secoya are excellent case scenarios to test theoretical ideas about contact linguistics. In that context, I explore the role of contact in the creation of linguistic variants. I currently investigate the expression of possession, the emergence of discourse particles, as well as the social dimensions of morphosyntactic variation attested in PAS. I evaluate the sources of these phenomena and whether language contact plays a role. PAS also displays a highly recognizable prosody (some samples are available here). But what is the prosodic structure of PAS? What could have motivated the emergence of such a unique pattern? To address these questions, I work in collaboration with professor Christian Koops (UNM). We are: (i) examining the acoustic features of rural and urban varieties of PAS, and (ii) exploring the possibility of substrate effects by contrasting PAS with indigenous languages from the surrounding areas. The applications of linguistic research to real-world issues are what motivate my studies. The overarching principle that guides my research is to document cultural and linguistic phenomena in order to create resources that support communities’ self-determined goals. I do not wish to be a documenter solely in search of “exotic” patterns; I prefer to build strong, long-term relationships with speech communities, engaging them in the collaborative effort to document their language, and supporting language revitalization efforts. Since 1997, I have been engaged in various projects with indigenous people, which include literacy development, teacher training and creation of school materials. The Kukama-Kukamiria people live in the Peruvian amazon. They preserve vast knowledge of the forest and the aquatic environment, which allows them to survive in this area of the jungle that is flooded with water almost half of the year. The total ethnic population is approximately 20,000. Nevertheless, their heritage language is highly endangered because the estimated 1000 remaining fluent speakers are elderly people. Although the majority of the population has shifted to Spanish, there are ongoing efforts to revitalize and maintain their language. Working together with community members, we are conducting the Kukama-Kukamiria Language Documentation Project. The Secoya language is spoken by the Aido Pãi people. The total population is estimated in 1000, 70% of them live in Peru, and 30% in Ecuador. In Peru, they live in seven villages in the Yubineto, Putumayo River, and in one village in the Napo River. The Secoya language is still strong, but bilingualism in Secoya and Spanish is rapidly increasing, particularly among children. I have conducted fieldwork in Secoya villages in October and November 2005, August 2006, May 2012, and June 2017. I have also carried out multiple follow-up sessions with Secoya speakers in the city of Iquitos, helping them to study its sound system to design an orthography and produce school materials. The Spanish spoken in the Peruvian Amazon diverges notoriously from pan-Hispanic patterns in various respects. However, this regional variety has barely received any attention in Hispanic linguistics. My interest in Amazonian Spanish derives from my work with bilingual speakers in a number of language development projects. Currently, I am building the corpus Conversaciones en Loreto from both monolinguals in Amazonian Spanish, and bilinguals in Kukama/Spanish, Secoya/Spanish, and Kichwa/Spanish. These data are being morphologically and prosodically coded for examination in several studies. (2018). Functional-typological approaches to Hispanic linguistics. In Kimberly L. Geeslin (Ed. ), The Cambridge Handbook of Spanish Linguistics (Cambridge Handbooks in Language and Linguistics, pp. 72-94). Cambridge: Cambridge University Press. doi:10.1017/9781316779194.005. (2018). 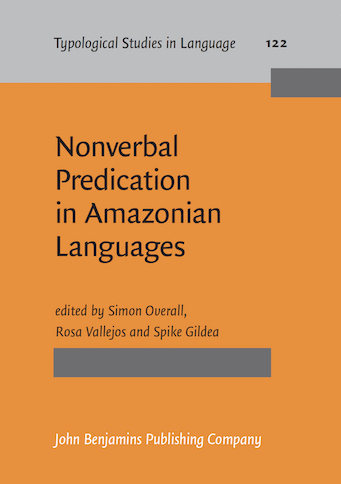 Nonverbal predication in Amazonia: typological and diachronic considerations. Typological Studies in Language 122: 1-49. John Benjamins. With Simon Overall and Spike Gildea. (2018). 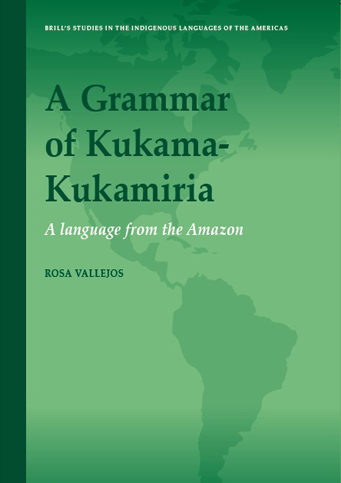 Kukama-Kukamiria .International Journal of American Linguistics, 84(S1):S129–S147. https://doi.org/10.1086/695549. (Under review). Nominal possession in Peruvian Amazonian Spanish: the role of animacy in the emergence of grammar. In Anna María Escobar, Roberto Zariquiey, Pilar Valenzuela and Margarita Jara (Eds. 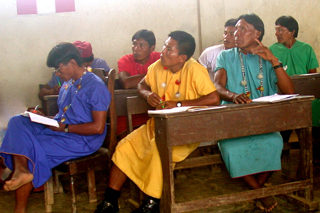 ), Spanish Diversity in the Amazon: Dialect and Language Contact Perspectives. (Forthcoming). Llegaron en sus canoa: Innovación gramatical en el español de la Amazonía peruana. Letras 131. (2016). Structural outcomes of obsolescence and revitalization: documenting variation among the Kukama-Kukamirias. In Gabriela Perez-Baez, Chris Rogers and Jorge Rosés-Labrada (Eds. ), Language Documentation and Revitalization in Latin America, 143-164. Berlin: De Gruyter Mouton. (2015). La indexicalidad de género en kukama-kukamiria desde una perspectiva tipológica. In Ana Fernandez, Albert Alvarez, and Zarina Estrada (Eds. ), Estudios de Lenguas Amerindias 3: contribuciones al estudio de las lenguas originarias de América. Hermosillo: Universidad de Sonora 195-222. (2015). La importancia de la documentación lingüística en la revitalización de las lenguas: un esfuerzo colaborativo entre los kukama-kukamiria. In Luis Enrique López (Ed. ), Pueblos Indígenas y Educación 64. 61-106. Quito: Abya Yala. (2014). 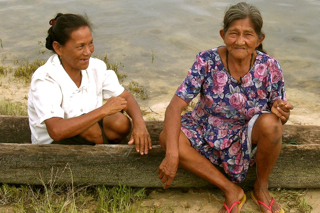 Peruvian Amazonian Spanish: Uncovering variation and deconstructing stereotypes. Spanish in Context 11.3: 425-453. (2014). Reference constraints and information-structure management in Kokama purpose clauses: A typological novelty? International Journal of American Linguistics, 80.1: 39-67. (2014). Integrating language documentation, language preservation, and linguistic research: Working with the Kokamas from the Peruvian Amazon. Language Documentation & Conservation, 8: 38-65. (2014). Cambio de valencia en Kokama-Kokamilla. In Francesc Queixalós, Stella Telles, and Ana Carla Bruno (Eds), Incremento de valencia en las lenguas amazónicas. Caro & Cuervo: 261-282. (2014). 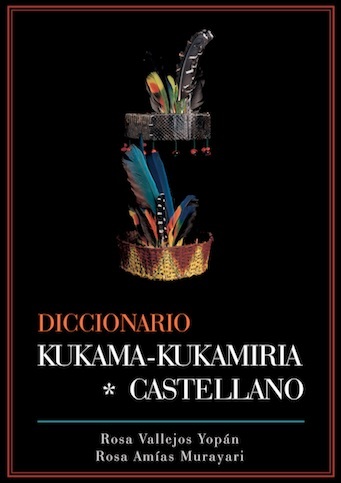 Los kukama-kukamiria y su rol en la cultura e historia de Loreto. In Varón Gabai, Rafael and Maza Carlos (Eds. ), Iquitos. Lima: Telefónica del Perú. 182-191. (2013). El Secoya del Putumayo: aportes fonológicos para la reconstrucción del Proto-Tucano Occidental. Lí­nguas Indígenas Americanas-LIAMES 13: 67-100. (2013). Fonologí­a y propuesta de alfabeto para la lengua Secoya. In Fonologí­a y propuesta de alfabeto para las lenguas Secoya y Sharadawa. Ministerio of Educación: Lima, Peru, 3-45. (2010). Is there a ditransitive construction in Kokama-Kokamilla? Studies in Language, 34.1: 75–107. (2009). The focus function(s) of =pura in Kokama-Kokamilla discourse. International Journal of American Linguistics, 75.3: 399-432. (2007). Fonologí­a de la variedad cocamilla del rí­o Huallaga. Volume: Fonologí­as, Programa de Formación de Maestros Bilingües de la Amazoní­a Peruana, Perú. (2006). Entre flexión y derivación: Examinando algunos morfemas en cocama-cocamilla. Conference Proceedings of Indigenous Languages of Latin America II, University of Austin, Texas.